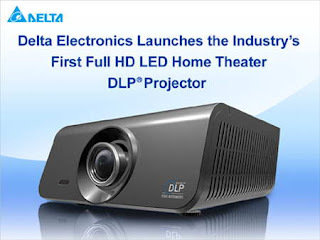 First LED Projector From Delta - Can Last Long ! The one of the famous electronic company Delta Electronic has introduced the first LED powered DLP projector. It offers a 1080p reading constantly, Large color gamut and the 20,000 hours on the LED unit. Unfortunately, the computer didn’t reveal the price yet. Although we have some major project players, yet they are not supposed to work as LED units. This model projectors can last longer but the brightness of the projectors are not so good.